JDD Specialties applies journalism skills to help clients explain complex issues, such as this Vitalyst Health Foundation policy primer on the community paramedicine component of mobile integrated healthcare. The February 2016 report required interviews with several leaders of Arizona fire departments and districts. Additional profiles on Arizona fire-service based community paramedicine programs will be posted on the Vitalyst website. 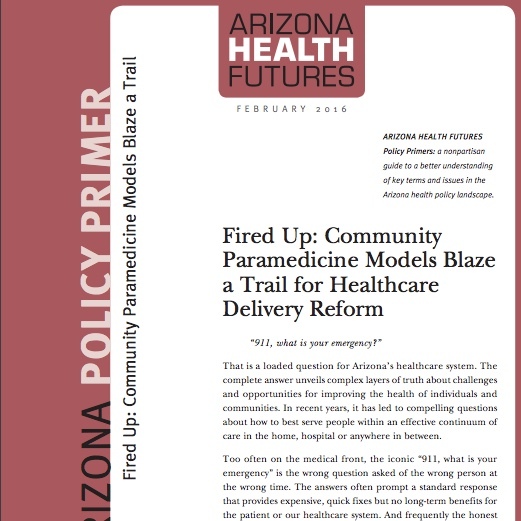 This entry was posted in Arizona, Community, Health, Portfolio and tagged affordable care act, arizona, community paramedicine, fire, health on February 28, 2016 by Jennifer Dokes.